My article on the hermeneutic corpus of the sixteenth century Spanish mystic and poet St John of the Cross is available in Vol. 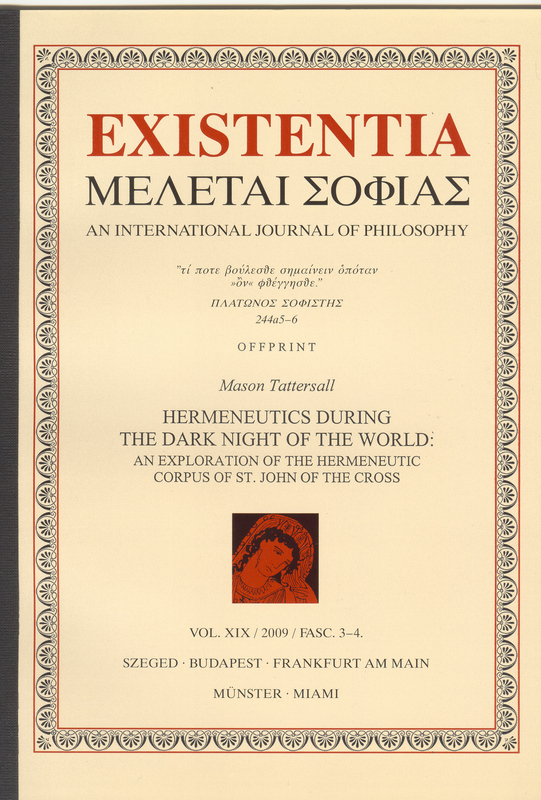 XIX of Existentia. Visit the journal’s homepage HERE. This entry was posted in Publications and tagged heidegger, hermeneutics, John of the Cross, mysticism, Publications, religion. Bookmark the permalink.